It's that time again where we are giving away two inspirational books for the vintage lovers outdoor. 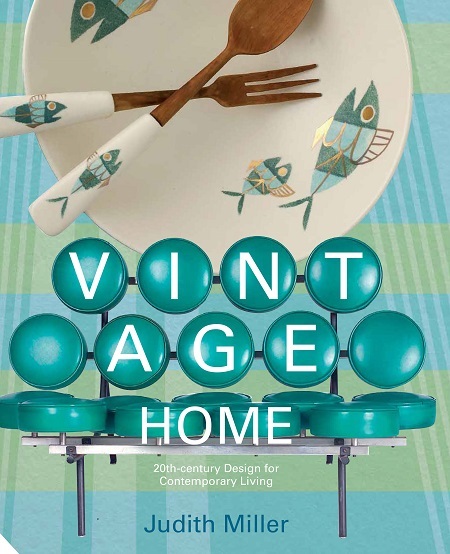 Vintage Home is both a practical collector’ s guide – what to look out for – and a celebration of the period. It covers both serious and costly designer creations, which sell in major auction houses worldwide, and cheerful mass-produced kitsch, which you can pick up in car boot sales, charity shops, flea markets and yard sales. It looks at objects from around the world that were made for every taste and budget. In that yawning gap between the antique and the new, there is something else. Some call it vintage, some retro, but whatever the name the concept is the same – the objects and furniture that are not quite old and not quite new, but are always original and unique. 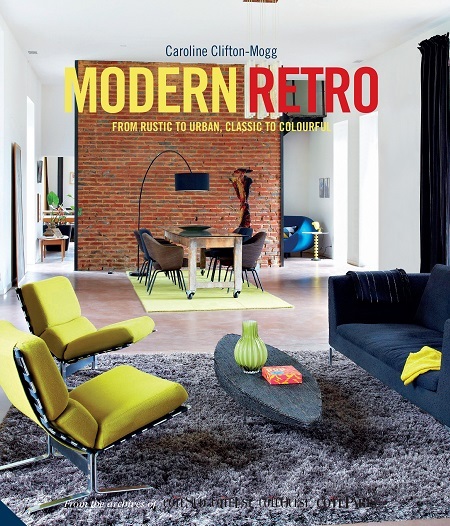 Modern Retro looks at this fascinating area of design and decoration. The arrangement of rooms – where to put what – has always been a vital part of successful interior decoration, and it is even more important when it comes to creating an interior that is a mixture of the expected and the completely unexpected. It is an art and it requires a real skill, for there has to be respect for every objet trouvé , as well as an understanding of how each element will work best. Modern Retro shows how to combine, how to edit and how to put the unlikely and the unusual together in a sympathetic way. Inspiration and ideas occupy every page of this absorbing book. Terms and conditions: The prize draw is open to individuals in the UK residents aged 18 or over. Any person or persons connected with Heart Home magazine, without limit, their families, agents, or anyone else involved in the administration of this offer are not eligible to enter. All entries must be received by 06:00 7th June. By entering this competition you consent to share your email, name and postcode with Heart Home magazine, who may wish to send you mailings in the future. There will be one winner who will receive the prize above. The prize must be accepted as offered (there are no cash alternatives) and they are non-transferable and non-refundable. The winners will be chosen from the list, at random, on 8th June and the winners will be notified by email or post within 7 days. No correspondence will be entered into. Unclaimed prizes will be redrawn after 28 days of the original draw. Heart Home magazine reserves the right to replace the prize with a product of equal value, if necessary. The winners will be asked to confirm their postal address before the prize is awarded. Details of the winners may be posted on the Heart Home magazine website and Facebook page. By entering this competition, you automatically agree to the terms and conditions above. Promoter: Heart Home magazine, 4 Oak Crescent, Wickford, Essex, SS11 7FF.